On a sunny, brisk morning on the outer edge of Toronto, a rare event in the automotive world took place. Only there were no uber-expensive hypercars driven, there were no speed records set, nor were any technological breakthroughs made. We did something that very few people get the opportunity to do, and it was behind the wheel of perhaps one of the blandest cars ever made – a 2001 Toyota Corolla. 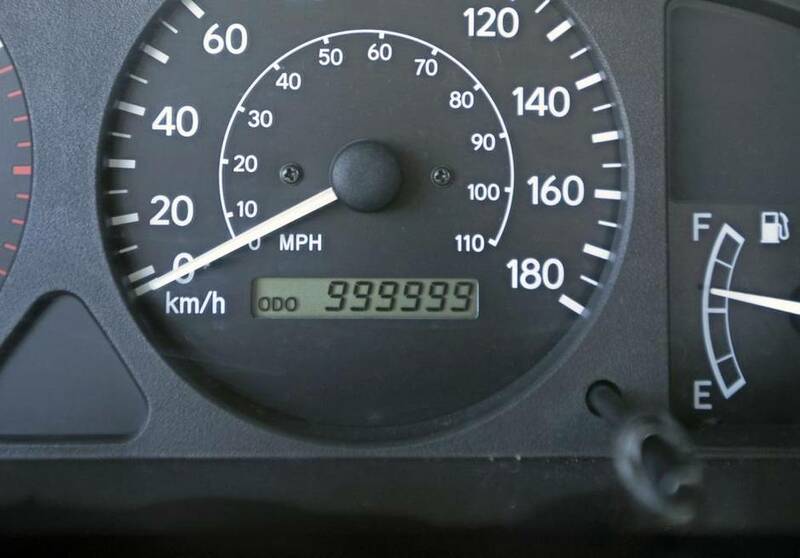 More specifically, a Corolla with an odometer reading of 999,996 kilometres. Yep, we rolled the clock. At least, that was the plan. The man who put on all these kilometres in the first place is Nagarajah Sellathurai, the car’s original owner who bought it new in 2001. The Sri Lankan native is a driving instructor, so he’s on the road every day training new drivers. Additionally, “my school was in Orangeville, but I live in Brampton. So every day I would drive there and teach there and come back at night,” he says. Even by Toronto standards, that’s quite a commute. Sellathurai has been a valuable customer for the Woodbine shop. Balinsky says the compact Toyota has been coming in often since the dealership opened, certainly more often than anybody else’s vehicle. 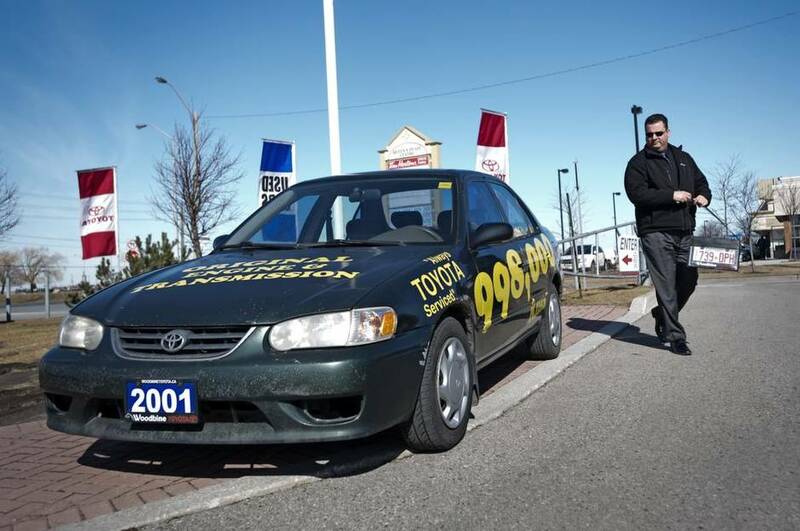 “The car started coming here from April in 2005 with 255,170 kilometres on it. He’d come in just about every month, sometimes twice a month. He was doing his oil changes every 5,000 kilometres. Balinsky leads us to the Corolla and we nestle inside. It’s in surprisingly good condition; the plastic is shiny, the fabrics are clean and show little wear; only the steering wheel looks shabby (“That’s the best way you can tell how much a car is used,” Balinsky says). He turns the key and it sparks immediately to life, the engine sounding like it could be brand new. Pulling out onto the surrounding road, clunks from the front indicated that it needs some work, but other than that it drives well. We go for a few minutes until the digital odometer is one kilometre away from the magic moment, and then we watch: 999,999. And that’s where it stays, to our disappointment. Even a few kilometres later, the number doesn’t change; it’s been programmed to stay there without rolling over. But if he does, it’s a good bet it will be from another car owned by Sellathurai. That Corolla he traded for less than two years ago? It already has more than 137,000 kilometres on it.